Where can you get the iPhone other than AT&T, Verizon, and Sprint? Plenty of places, as long as you're not on T-Mobile. A host of regional wireless carriers announced Wednesday that they will carry the iPhone in a move that may surprise some industry watchers. This includes Waynesboro, Va.-based nTelos, Green Bay, Wisc.-based Cellcom, and Anchorage, Alaska's Alaska Communications. 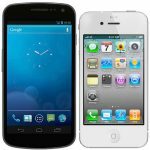 The regionals will offer the iPhone 4 and 4S at a $50 discount to the major carriers, and join southern US regional carrier C Spire, who has offered the iPhone since October of last year. As a tech writer, there are two things that I avoid like the plague: iPhone cases and iPhone cases. I say this as two separate instances because there are so freaking many of the things that avoiding them is a full-time job. Marketers indiscriminately shower me with information about various cases even though I have never displayed an interest in them, nor do I even own an iPhone. I'm appalled by the sudden feeding frenzy about the Siri lawsuit, which was filed last week but only big-time hit the mainstream news yesterday. Now the damn thing is everywhere, and I've been asked to jump on the meat wagon and write something, too. 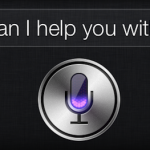 Siri is the iPhone 4S "personal assistant". It's all so pointless, going after Apple for beta software, about which advertising states "sequences shortened" for Siri's responses. 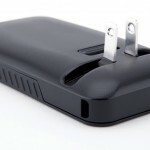 New Yorker Frank M. Fazio is suing Apple because he bought a 32GB iPhone 4S from a Best Buy in Brooklyn on Nov. 19, 2011. Gasp, "plaintiff was exposed to Apple's representations regarding the Siri feature" -- that is according to the legal filing. Siri's alleged crimes: Failing to understand Fazio and giving him the "wrong answer". Apple's alleged misdeed: Misleading and false advertising. In October 2009, I explained why "iPhone cannot win the smartphone wars". Many of the reasons then still hold true today. But I wrote that analysis before Apple released iPad. So, 10 months later I followed up with "Apple can still win the mobile platform wars, but it won't be easy". Now, 18 months later, as Mobile World Congress starts in Barcelona, Spain, I claim: Apple is winning the mobile platform wars, but achieving ultimate supremacy won't be easy. In August 2010, I observed: "Pundits already are predicting iPhone's death brattle before the great Android god. I wouldn't write off Apple just yet. The mobile wars are bigger than smartphones, as Apple already has shown". Little has changed since. Android apologists still predict victory over iOS, while ignoring fundamental platform gains that put Apple in front. Who wins if Android and iPhone lose the smartphone wars? 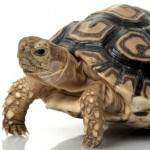 Finally, an analyst firm comes clean about the cell phone market's volatility. Gartner and IDC continue to make outrageous predictions -- like Windows Phone as No. 2 smartphone operating system in 2015 -- despite many earlier forecasts being drop-dead wrong. But comScore says pretty much anything can happen and likely will. That's a stunning assessment, considering Androids' and iPhone's 2011 success, as highlighted in comScore's "2012 Mobile Future in Focus" report. iPhone 4 -- right, not 4S -- was the top-acquired phone in the United States and five combined Euro countries (Germany, France, Italy, Spain and United Kingdom) last year. Android led among smartphone operating systems. "Smartphone volumes during the quarter rose due to record sales of Apple iPhones". That's a helluva statement -- from Gartner's press release on Q4 2011 handset sales today. Emphasis on sales, which is what the analyst firm measures, not shipments into the channel like its competitors. One hundred-forty nine million smartphones sold globally during the quarter, up 47.3 percent year over year, 35.46 million from Apple. Last month, Apple claimed 37.04 million iPhone sales, which, of course, really means shipments. Apple's stunning fourth quarter raised its ranking. The Cupertino, Calif.-based company passed LG to take third place in overall handset sales for all 2011 -- not just smartphones -- 5 percent to 4.9 percent share, respectively. 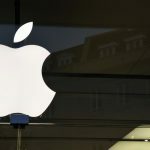 In smartphones, Apple claimed top spot for the quarter and all 2011, with 23.8 percent and 19 percent market share, respectively. Apple sold 89.7 million handsets last year. Be careful what you wish for, because you might get it -- as the old adage goes. Sprint wanted iPhone and got it, and paid dearly during the first quarter of sales. This morning, before the opening bell, the nation's third-largest carrier announced holiday quarter results and another big operating loss. There, iPhone heavily contributed. The carrier reported a $1.3 billion loss, or 43 cents per diluted share, on revenue of $8.7 billion. Profit margins plummeted to 9.5 percent from 16 percent a year earlier, and iPhone largely accounted for the decline. Sprint loses would actually have been more, but the carrier gained fewer new subscribers than Wall Street expected. 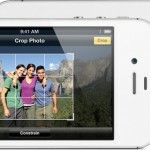 In fourth quarter, that would be iPhone 4S, 4 and 3GS, in order from one to three, according to NPD. But before the Apple Fanclub does high-fives, Android share among first-time buyers outpaced iPhone, as measured by smartphone operating system, contradicting some other analyst data. 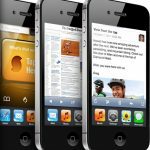 "iPhone 4S outsold the iPhone 4 by 75 percent, and outsold the iPhone 3GS, available for free on AT&T, five to one", Ross Rubin, NPD executive director, says. Well, so much for my theory older, discounted iPhones was a brilliant Apple strategy. Which again raises questions about the power of brand, considering iPhone isn't LTE, while AT&T and Verizon offer real 4G smartphones -- all Androids. iPhone's remarkable fourth-quarter surge -- 37 million units -- lifted the handset ahead of the two previous smartphone leaders, according to Canalys. For full year 2011, Apple shipped 93.1 million smartphones, compared to Samsung's 91.9 million and Nokia's 77.3 million. Nokia, the company that invented the smartphone, has bled share since iPhone launched nearly 5 years ago, but artery versus vein since announcing the switch to Windows Phone from Symbian in February 2011. 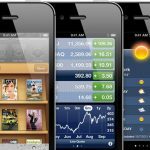 Apple's climb to the top followed October's iPhone 4S launch and availability of older 3GS and 4 models for free and $99, respectively. Samsung shipped 35.3 million smartphones in Q4, behind Apple, while Nokia shipped 19.6 million -- a stunning 31 percent decline. By comparison, iPhone shipments surged 128.1 percent for the quarter and 96 percent for the year. Just weeks ago the Apple Fanclub of bloggers and journalists giddily posted about how iPhone had reversed Androids' gains. But new data from comScore shows that, in the United States at least, Android is doing just fine, despite iPhone's remarkable fourth-quarter sales surge (more than 37 million units). 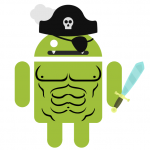 As measured by smartphone OS among cellular subscribers 13 and older, Android share grew to 47.3 percent at the end of December from 44.8 percent three months earlier. During the same time period, iPhone/iOS rose 2.2 points to 29.6 percent share. More broadly, for all handsets, Apple was the only manufacturer to gain share during fourth quarter -- up 2.2 points to 12.4 percent, or twice free-falling Research in Motion. Samsung firmly held its lead, 25.3 percent, which is the same as end of September. This morning, before the opening bell, AT&T announced calendar fourth-quarter earnings and record iPhone sales -- 7.6 million. Combined with Verizon's number that works out to 32 percent of iPhones sold during the quarter. Sprint will announce earnings results on February 2, conceivably pushing the number close to 40 percent. Apple CEO Tim Cook has called China Apple's second-most important market. Want to guess which is first? For AT&T, iPhone was huge during fourth quarter. The carrier sold 9.4 million smartphones, and 80.5 percent of them were iPhones. The number was smaller, but still substantial, for Verizon: 54.4 percent. While Android sales paled by comparison, AT&T doubled them year over year -- not surprising with Samsung's aggressive marketing campaign for Galaxy S II and mid-quarter's introduction of LTE models HTC Vivid and Galaxy S II Skyrocket. Today, after the closing bell, Apple answered the question analysts have asked for weeks: How many iPhones sold during the holiday quarter? The answer: A colossal number -- 37.04 million. Apple also shipped 5.2 million Macs and 15.43 million iPads during fiscal 2012 first quarter. Analyst consensus was around 5 million and 14 million, respectively, and 32.5 million iPhones. During today's earnings conference call, Apple CFO Peter Oppenheimer revealed 315 million cumulative iOS device sales. Apple's App Store has 550,000 applications -- 150,000 for iPad. Developers will have earned $4 billion cumulatively by the end of the month, he said. 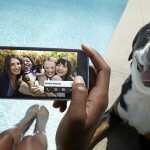 Since buying Galaxy Nexus last month, I haven't paid as much attention to Samsung's stunningly clever "The Next Big Thing is Already Here" advertising campaign that slaps around the iPhone hipster set. There's a new TV commercial that begins with a group of iPhone want-to-haves camped out, literally, by an Apple Store. "Ah that looks like last year's phone" is the killer line, says a guy rising from his sleeping bag to look at an unboxing video of, presumably, iPhone 4S. Samsung snark already has soured perceptions of iPhone and boosted those of Samsung brands, according to YouGov BrandIndex. The attack ads, which never specifically mention iPhone, marks one of the most iconic marketing campaigns since Apple's "Get a Mac".